Dry Monday, but a few showers for Christmas Day. 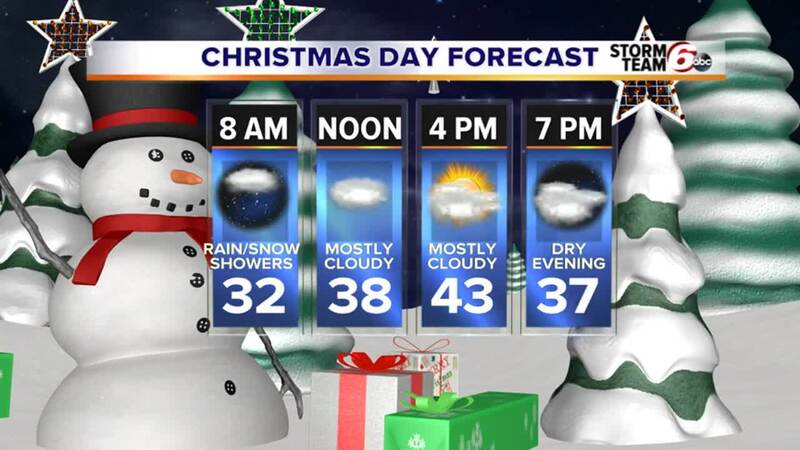 Rain and snow showers are still possible Christmas Day. The best chance for wet weather this week arrives Thursday. If you have travel plans or errands to run on Monday, the weather is going to be your friend. Sunshine returns, but will still mix with some clouds. Temperatures warm their way back into the lower 40s. A few rain and snow showers are possible to start Christmas Day. Accumulation isn’t expected, and roads should be in good shape as temperatures warm into the 40s by Tuesday afternoon. More widespread rain develops Thursday as we enjoy a brief warm-up into the 50s.